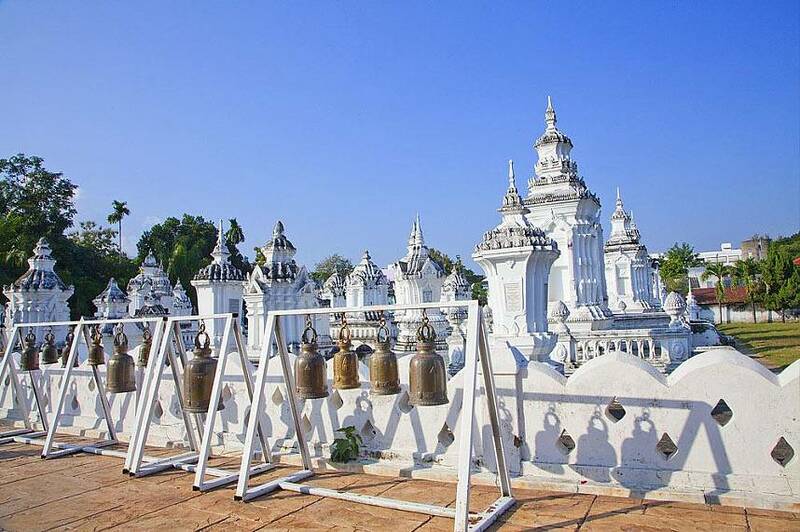 This fascinating temple’s official name is Wat Photharam Maha Wihan, constructed in 1455, famous for its 7 spires, which is where the Thai name of chet yot is derived. 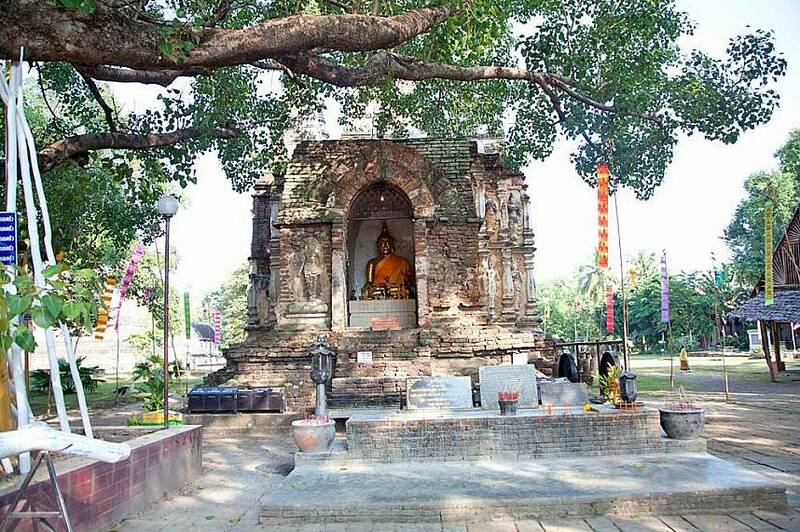 King Tilokarat commissioned the construction of the temple after he sent a party of monks to Bagan in Burma to view the Mahabodhi temple, which is an exact replica of Mahabodhi Temple of Bodh Gaya in India where Lord Buddha first attained enlightenment. 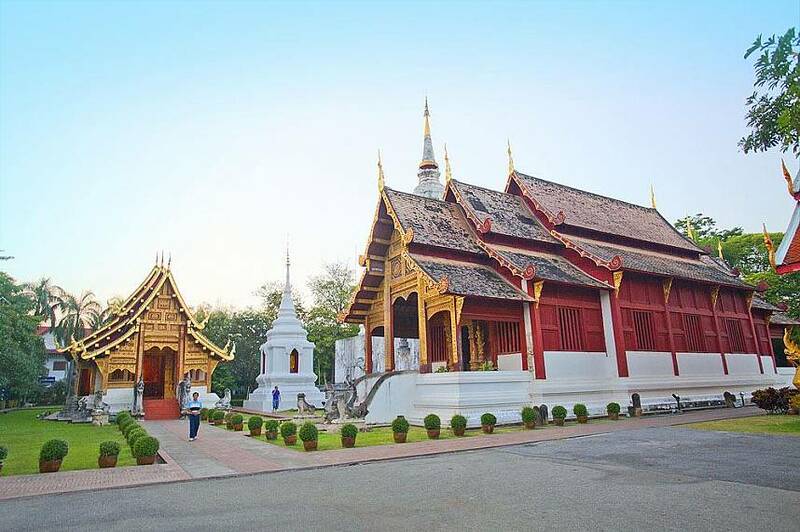 This is a one of the must see Chiang Mai Temples. 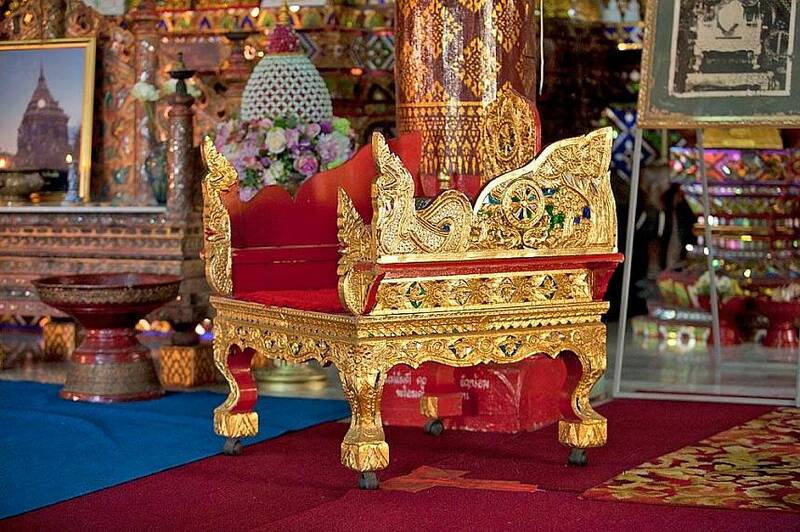 This is one of the most dominating Chiang Mai temples, initially constructed by King Saen Muang Ma at the back-end of the 14th century to enshrine the relics of his father. He never managed to finish the temple, which was finally completed by King Tilokarat. At the time of construction, the chedi was 90-meters in height, but in 1545 was partly destroyed by an earthquake. Now the peak is just 60 meters. The chedi was the tallest construction in Chiang Mai for over 500 years. Even though you cannot go into the temple because of its age and delicate nature, this imposing figure has to be seen to be believed. 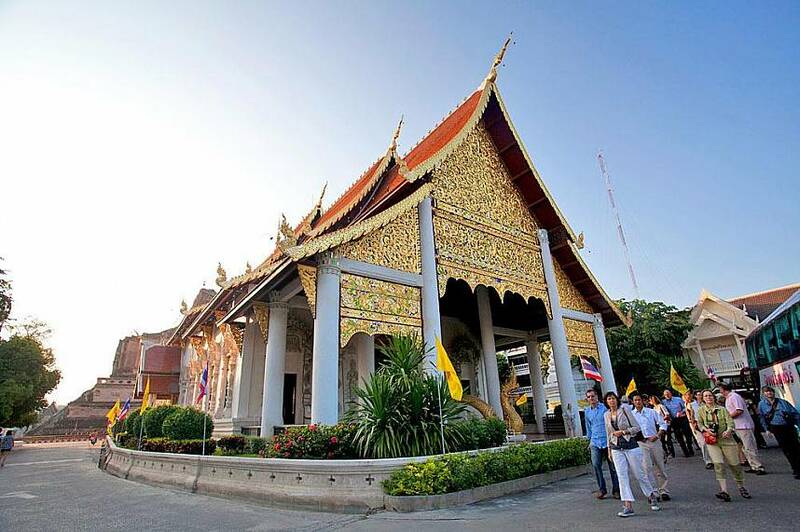 Wat Chiang Mun is situated within the city walls on Rajpakinai Road on the north side of Chiang Mai city. 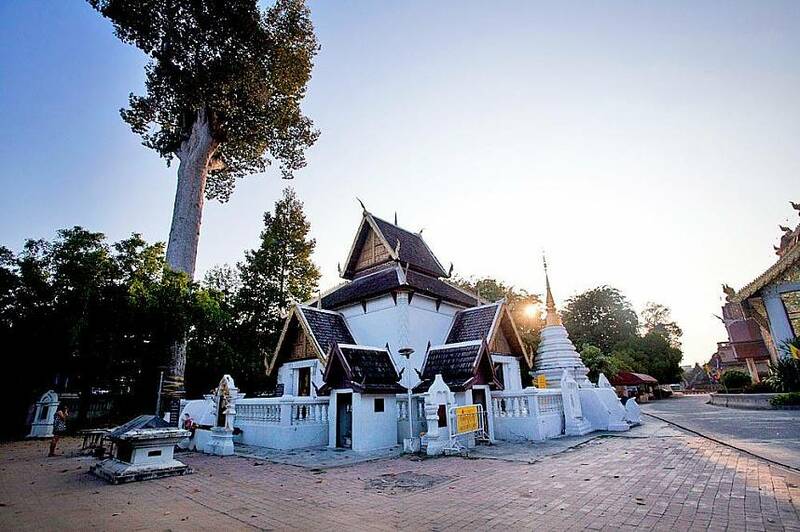 This temple is one of the most historically significant in Chiang Mai, due to it being the first Royal temple constructed within the city grounds in 1296 by King Mengrai. Although the temple has been restored in recent times, you can still see the old foundations and walls from that bygone period in time. 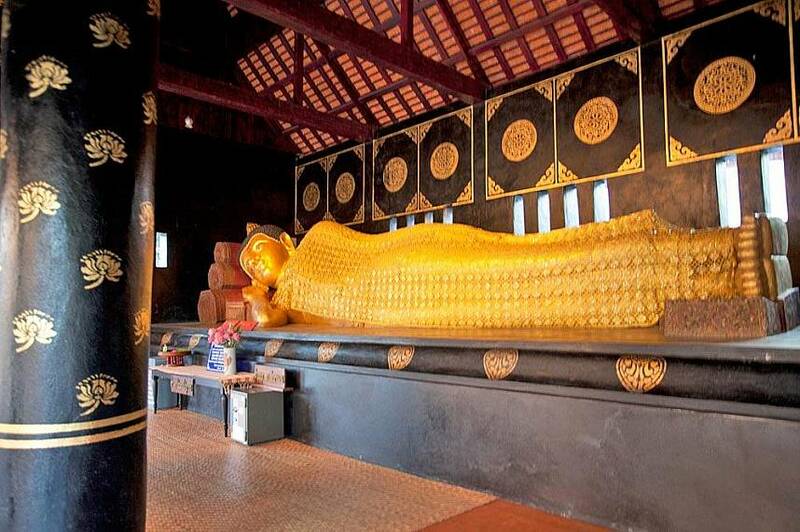 At Wat Chiang Mun, you will find a tiny enshrined crystal Buddha named Pra Seh-Taang Kamaneeee. Wat Phra Singh is translated as “The Temple of the Lion Buddha.” Constructed in 1345 by King Pha Yu to hold the ashes of his father, King Kham Fu, housing 2 medieval Buddhist images. The temple is one of the most important Buddhist monasteries in this part of the world. Believed to be the first monastery to hold the Emerald Buddha, which was then moved to Wat Chedi Luang and now rests in Bangkok at Wat Phra Kaew, this temple is extremely sacred. 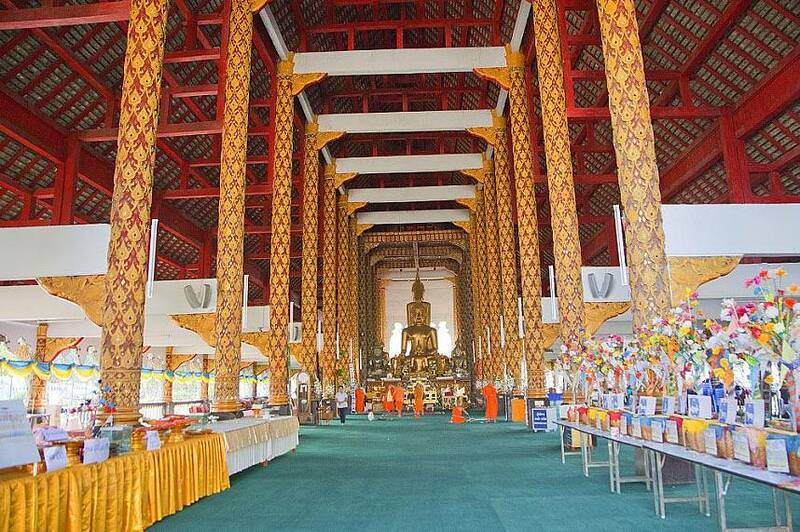 When visiting this Chiang Mai temple, you will more than likely be approached by one or more of the 700 monks who live here, so they can brush up on their English. They are very friendly. 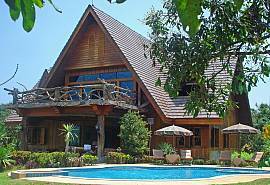 Browse our delightful range of Chiang Mai villas here.